Weighty Matters: Guest Post: Is Your Feeding Style Cramping Your Child's Eating? Guest Post: Is Your Feeding Style Cramping Your Child's Eating? 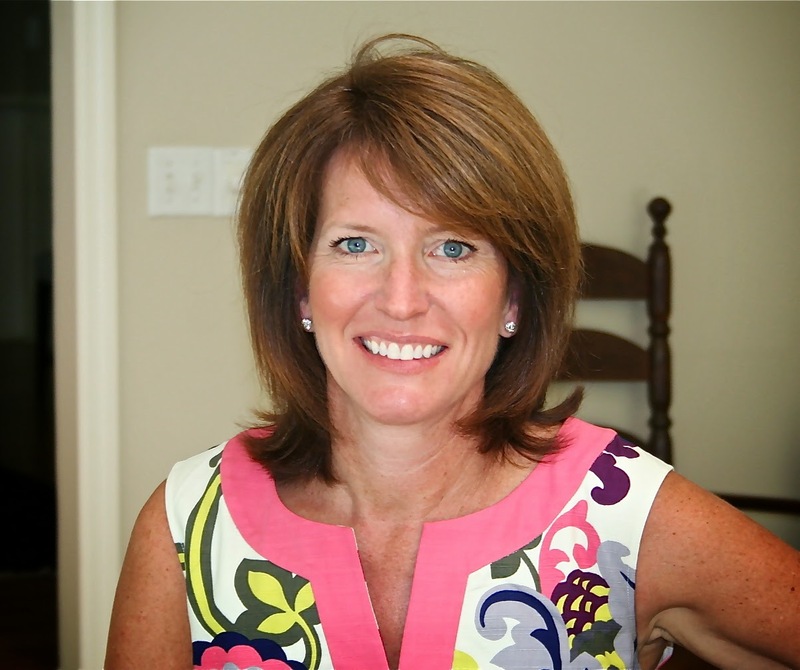 Today's guest post come from Jill Castle, co-author of Fearless Feeding: How to Raise Healthy Eaters from High Chair to High School (which our office's RD Mark McGill reviewed here). I reached out to Jill and asked her if she wouldn't mind expanding on the science of the "how" to feed children for my readers. Is Your Feeding Style Cramping Your Child’s Eating? Feeding kids is one of the most time consuming (and frustrating!) jobs for a parent. One thing that makes feeding hard is the lack of preparation parents get in nutrition, feeding and child development. While most nutrition buzz focuses on WHAT to feed kids, in my new book, Fearless Feeding: How to Raise Healthy Eaters from High Chair to High School, my co-author and I come at childhood nutrition from a different angle. We know food is important, but so is HOW kids are fed, and WHY they behave that way around food. Understanding this is the secret strategy to feeding and raising healthy children in the 21st century. Fundamental to your success with feeding is your approach. This is called your feeding style. Feeding styles are characterized by how demanding and sensitive the parent is to the child in the process of feeding. Researchers highlight four feeding styles: authoritarian, permissive, neglectful and authoritative. Of the four styles, only one has been associated with positive outcomes such as eating more fruits, vegetables and dairy foods, being tuned in to appetite signals (hunger and fullness), and a healthy body weight. The other three styles have been associated with impaired appetite regulation, weight problems, and less healthy eating. Also known as a “parent-centered” feeding style, the authoritarian feeding style is characterized by eating rules and performance, such as “eat three bites of food before leaving the table,” or “finish the meal” before getting dessert. As a result, children may “learn” to dislike mealtime or certain foods, become pickier, or overeat. Rewarding with dessert or other food, restricting certain food or amounts, and pushing kids to eat are parenting practices associated with this feeding style. Children raised with an authoritarian feeding style may show problems with inadequate eating and underweight, a poor sense of appetite regulation, or overeating and weight gain. The child finishes his meal so he can have dessert, even though he is full. 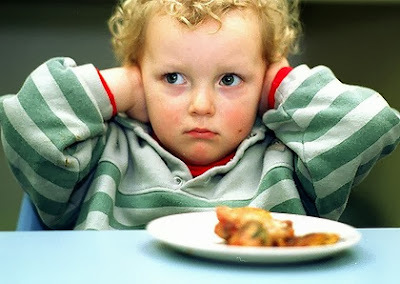 The toddler is encouraged to take three bites of vegetables at each meal but becomes pickier about them over time, rather than more receptive. The overweight teen overeats candy and sweets outside of the home because these foods are never allowed in the home. A lack of structure and boundaries command this style. Parents are reactive to food requests, complaints of hunger (even when a meal was recently eaten), and may cater to the child’s food preferences. Meal structure is lacking, and frequent eating may occur. Children use outside factors to determine hunger or fullness. “Head hunger” or boredom may trigger eating in addition to “tummy hunger.” Research tells us that children raised with a permissive style may become overweight due to a lack of limits on sweets and snacks. They also may become pickier, less likely to try new foods and underweight. The picky preschooler will only eat hotdogs, nuggets and applesauce, so that is what his parents prepare because they don’t want him to go to bed hungry. The school-age kid spoils his appetite for dinner because he ate too many snacks after school. Researchers have found these two feeding styles (authoritarian and permissive) to be the most problematic for children’s eating including the amount of food they eat, the type, their appetite regulation and their weight status. Irregular shopping, empty cabinets and refrigerators, and no plan for meals are signs of the neglectful feeding style. Meal structure and food availability may not be important to the parent, and that affects feeding the child. Children who experience this feeding style may be insecure about food and eating, unsure of the next meal, if they will like it, and whether it will be enough. They may become overweight or underweight. The child constantly questions meals and food, and may become anxious at mealtime. The teen eats rapidly or overeats when food is available. Authoritative feeding promotes independent thinking and self-regulation, but also sets boundaries. The authoritative feeder may use Satter’s Division of Responsibility (http://www.ellynsatter.com/resources/DORfeeding.pdf), determining what food will be served, when it will happen, and where it will be served, while allowing the child to decide whether they will eat what is prepared, and how much. Structure, boundaries, choice and trust are the basis of this feeding style. The authoritative feeding style is associated with leaner kids who are tuned in to their appetite. Using an authoritative feeding style is a promising avenue for preventing and managing childhood obesity and picky eating. The child eats a wide variety of foods from all food groups, and enjoys sweets, but doesn’t overdo it. The parent doesn’t pressure or limit the child’s eating, but lets him satisfy his appetite. The meal table is a low pressure environment and the kids enjoy mealtime with the family. Most parents have a dominant feeding style, but all four feeding styles may pop up at one time or another. Feeding styles can arise from a parent’s childhood experiences, however, a child’s weight status, his behavior around food, and even the parent’s weight status can influence the feeding style. For instance, if a child is overweight, a parent may use an authoritarian feeding style, setting strict limits on second helpings, food types and access to food. If a parent has a past eating disorder, she may use a permissive feeding style, attempting to avoid a food issue. The point of all of this is to bring to light the influence of feeding styles on your child’s eating. You can be offering the most nutritious meals, but if it is done without structure or with pressure and absolutes on eating performance, it may backfire and negatively color your child’s relationship with food, his eating, and his health. The idea is to use a feeding style that allows your child space and time to learn about food and eating in a safe and trusting environment—without ultimatums, bribes, or drastic measures that ultimately backfire. So, if you’re having trouble with your child’s eating, take a step back and re-evaluate. Do you have enough predictability and structure with meals? Are you being too pushy about food, or too lenient? Is your feeding style getting in the way? The most effective feeding style for cultivating healthy eating and attitudes in the long run is the authoritative style. So tell me, which feeding style dominates your table? Is it helping or hindering your child’s eating?